by Mary Cosmo, Esquire.In Environmental, Florida Water. 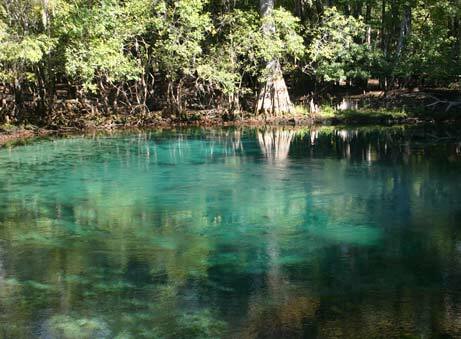 By Robert L. Knight – Special to the Star-Banner – Published: Sunday, November 18, 2012 at 6:30 a.m.
Florida is blessed with an abundant freshwater income — an average of about 175 billion gallons per day (BGD). Yet, we are having serious trouble living within our means.A water balance is an analysis of the inflows and outflows, and the resulting change in the amount of water in storage (equivalent to the “balance” in a bank account). For example, Florida’s water balance includes an estimated average inflow of 150 BGD from direct rainfall over the state’s 38 million acres of land, and 25 BGD from river and groundwater inflows from Georgia and Alabama (e.g., Apalachicola, Suwannee and Withlacoochee rivers). Read the full story via Florida’s water balance is showing a loss | Ocala.com. Previous Previous post: What Happens if Someone Named in a Will Dies Before the Testator?